Key ratios show how some manufacturers have made fairly radical changes in their warranty finances over the past year. But, like a dog that doesn't bark, what's remarkable is how few of the biggest warranty providers have seen relatively big increases or decreases since March 2007. First quarter 2008 financial reports have been published by all but one of the top 100 U.S.-based warranty providers, so it's once again time to see how things have changed during the past year. Without knowing precisely how each manufacturer computes their warranty expense reports, we can't legitimately compare companies against each other. So instead we compare each company against itself over time. In this case, we're comparing the annual or quarterly reports that ended during the months of January, February, or March 2008 against the Form 10-K or 10-Q reports filed with the U.S. Securities and Exchange Commission a year before. We examined the latest financial reports of the top 100 warranty providers, as defined by the dollar amount of claims paid during all of calendar 2007. Then we computed the annual rate of change for three essential warranty metrics: claims rate, accrual rate, and warranty reserve fund balance. In that way, we're comparing each company against itself, and then ranking them to find which are at the extremes. Actually, we had to start with a list of the top 115 warranty providers of 2007, because two of the top 100 went private or were acquired during 2007 (Gateway Inc. and Goodman Global Inc.), one has yet to file its annual report for the year ended March 31, 2008 (Quantum Corp.), and 12 companies have decided to flout generally accepted accounting principles by either discontinuing the filing information about their warranty expenses, filing those expense reports only once a year, filing only the opening and closing balances of their reserve funds, or missing the Security and Exchange Commission's deadline for filing their first quarter 2007 financial statements. Those "dirty dozen" are: Black & Decker Corp.; Eaton Corp.; Emerson Electric Co.; Exide Technologies; Fortune Brands Inc.; General Electric Co.; Goodyear Tire & Rubber Co.; Honeywell International Inc.; Illinois Tool Works Inc.; Motorola Inc.; Navistar International Corp.; and Xerox Corp. There are several others, but these are the 12 that made it to the top of the 2007 rankings. That means the list is a little longer than usual, and some of the names in the charts below weren't part of either the year-end 2007 report (Warranty Week, March 26) or the mid-year 2007 report (Warranty Week, August 15, 2007). In all the tables below, we're providing just three data points per company. Readers have reported some confusion in the past, especially with the meaning of the percentages. So let's be precise: for each company we retrieved the amount paid out in claims and the amount set aside in accruals during any given period. We then compared those figures to one for product sales reported over the same period, creating a ratio expressed in percentages. Then we compared the change in these percentages over the past year, calculating yet another percentage. For instance, in Figure 1, the top improvement in claims rates went to Harman International Industries Inc., which cut its claims rate from 1.7% in March 2007 to 0.9% in March 2008. That works out to a 49% decrease -- just under half. It just so happens that the company also cut in half the amount it paid out in claims, but this happens only when sales grow at a precisely proportional rate. At Wabco Holdings, for instance, first quarter sales grew 26% from $559 million in the first quarter of 2007 to $705 million in the first quarter of 2008. And claims paid during the quarter fell by 26% from $9.8 million in 2007 to $7.3 million in 2008. The claims rate for the American Standard/Trane Inc. spinoff therefore fell from 1.8% in 2007 to 1.0% in 2008. And that's a 41% decrease in the claims rate (note, there's some rounding off involved). Of the top 100 warranty providers, 47 saw their claims rate fall and 53 saw it rise in the year between March 2007 and March 2008. In fact, Eastman Kodak and Sherwin Williams reduced their claims payouts by so much that they're likely to fall off the list of the top 100 warranty providers this year. Kodak cut its claims rate from 1.0% to 0.6%, while Sherwin Williams cut its claims rate from 0.37% to 0.25%. Usually, such a cut is almost entirely due to a big jump in sales, but sometimes it's the result of a breakthrough in product quality that reduces the failure rate and/or the cost of repairs. And sometimes, as in the case of Kodak, it's got more to do with the sell-off of a division that attracts a lot of claims. Or, a company might acquire a line of business that has a low rate of claims. Increases in the claims rates happen for precisely the opposite reasons. In the housing market, for instance, sales are falling. But the builders still have to fix the houses they sold last year, and that translates into a big jump in the claims rate. Then there are the failures of quality (the Microsoft Xbox 360) and the acquisition of lines of business that attract a high rate of claims (MPC acquiring part of Gateway Inc.), or the divestiture of a division with a low rate of claims (Tyco and Covidien). Figure 2 lists the top ten increases in claims rates. One could go through the list and check off the jumps excused by sales declines, acquisitions, or divestitures, and one would still have a few besides Microsoft that can be linked to quality problems. But we'll spare them from the spotlight -- after all, they haven't even told their own shareholders about their problems. Claims are what happens to you, based on what you did. Accruals are what you believe will happen to you based on what you're doing now. And while it's easy to attribute changes in the claims rate to the lag time between sales and repairs, it's not so easy to dismiss changes in the accrual rate. If I build 100 homes and I believe the warranty work on each will cost me $1,000, then I should accrue $100,000 at the time of sale. But if I sell only 50 homes, I should still accrue $1,000 per home sold. So even though sales slowed, I should be accruing the same amount per unit sold, and the accrual rate should remain about the same (unless the price per home changes significantly). That doesn't explain Pulte Homes, however. The company saw sales decline 24%. But it cut its accrual rate from 0.9% to 0.3%. That means it is now putting 70% less aside for each home it sells than it did a year ago. That can't be linked to the selling price of the home -- accruals relate to the cost of predicted repairs. So it must mean that Pulte is building much better homes now than it did in 2007. Or else it's cutting accruals to conserve scarce cash. BorgWarner is an example of a company that's now on the other side of a quality problem, and is adjusting its accrual rate back to where it was before the crisis. Sherwin Williams and Jarden seem to be confirming by their presence in both Figure 1 and Figure 3 that their historical and projected warranty costs are both on the decline. And then there's the puzzles, such as Tyco seeing a 161% rise in its claims rate yet cutting its accrual rate by 43%. They're not supposed to move so dramatically in opposite directions. An accrual rate increase is not something a company wants to do, unless there's a very good reason such as a major acquisition. So perhaps it's no worry that MPC also made the top of the list in Figure 4. After all, it now has the business computer product line of Gateway to work with, and part of the package is a vastly increased warranty cost profile. With Microsoft, we're actually estimating the first quarter of 2007's warranty expenses, because the company didn't really begin going into detail about its warranty accounting until the quarter ended in June 2007 (when the Xbox 360 news hit). And again, in a comparison of Figures 1 and 4 we note the strange coupling of a massive decline in the claims rate with a massive increase in the accrual rate. They should not move so dramatically in opposite directions, yet they did at Harman International. 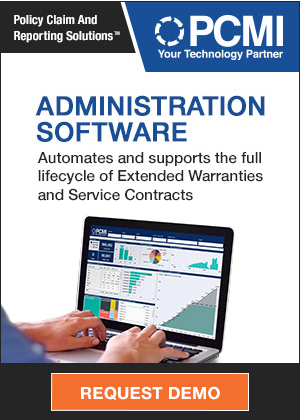 Of the top 100 warranty providers, 51 saw their accrual rate fall and 49 saw their accrual rate rise in the year from March 2007 to 2008. So as with claims, there's a rough balance between the increases and the decreases. Of the 51 accrual rate decreases, however, only 30 also saw their claims rates fall. Of the 49 accrual rate increases, only 32 also saw their claims rate rise. The rest turned in a mixture of increases and decreases. And this can't be at all blamed on changes in revenue, because the same amount of product sales is used to generate both percentages. For the warranty reserve fund, this time we're going to simply compare the balances in March 2008 and a year ago. It's two moments in time, so it lends itself to a straight comparison such as this. The best measure of all might be warranty funds on reserve per unit of production in the field under warranty. For instance, how much is on account per automobile under warranty, per new home, or per appliance under warranty, and how has this changed over time? Unfortunately, very few companies make it possible to do this, and besides, the accrual rate relates directly to the amount set aside per dollar of revenue. One can make back-of-the-envelope calculations using that percentage plus guesses at the average price of a car, of a home, or an appliance. The other essential warranty metric that's still largely kept secret is failures per thousand units, which unfortunately cannot be divined from knowing just the claims rate, unless one also has reliable figures for average claim size or the typical cost of repairs. And to an outside observer, such data is rarely disclosed. But while the data in Figures 5 and 6 is simple math, it's still quite surprising. Even a casual glance reveals that major companies such as Delphi, Motorola, Tyco, and Whirlpool have seen their balances go up or down by $100 million or so in only a year. And, in fact, it's the second appearance on a top ten list for Delphi and the third for Tyco and Microsoft. So they're also seeing radical changes in their claims and/or accrual rates. Although the dollar amounts aren't as large, Sherwin Williams also made three top ten lists for percentage decreases, while Garmin, Hovnanian, and MPC made all three top ten increase lists. This suggests that something unusual is happening at each of these companies, in that the magnitude of the past year's changes has for them been among the largest for all manufacturers. This is not typical. Ford, GM and HP changed the balance of their warranty reserve by $100 million or more, but for neither did it amount to more than a 10% increase or decrease. Microsoft of course had to make a giant increase thanks to the Xbox 360, but once again we're estimating the year-ago figure. So it may have been only a 5000% change, or perhaps a 7000% change. Ordinarily, a decrease in the claims or accrual rates is taken to be a good sign, if it's done for the right reasons (enhanced quality, accelerating sales, etc.). An increase in the warranty reserve is also usually the right way to go, because it signifies a thicker cushion protecting shareholders from warranty surprises. But in Figure 6 one sees Microsoft at the top of the list, and that simply confirms what a shocking surprise that year-ago calamity was. But then there's Mohawk Industries at the bottom of the list, and that's a company that could definitely use a thicker cushion. A year ago, the carpeting company kept less than six month's worth of funds on hand to pay claims. Now it's up closer to seven months, though the company has also seen sales fall and claims increase. Still, as a customer or a shareholder, it's somewhat reassuring to see the company increasing the size of its reserve fund by 35%. All in all, only 38 out of the top 100 warranty providers made an appearance on any of the six lists. And besides Ford, GM and HP, some of the other heavyweights that made no appearances include Dell Inc., Caterpillar Inc., Deere & Co., Cisco Systems Inc., and United Technologies Corp. And that's good news, in that it shows how some of the largest warranty providers are also the best at managing the process. In this instance, falling between the extremes is a good thing, in that it shows stability, consistency, and predictability. Capstone Turbine credits reduced warranty charges for cuts in the year's net loss. New South Wales government to defend its home warranty insurance scheme at Australian inquiry. Top Image Systems says a UK-based extended warranty co. uses its document processing software. ServiceBench to host Service World 2008 conference Aug. 20-22 in Washington, D.C. A.M. Best assigns negative outlook to American Resources Insurance Co. Inc. Hundreds more may be hit by collapse of Beechwood Homes in Australia. Housing Industry Assoc. & Insurance Council of Australia won't testify on warranties. Analyst blames Xbox 360 failures on Microsoft's own design for its graphics processor. New Jersey jury says Kia Motors must pay $6 million to owners of Kia Sephia sedans. Nebraska Attorney General investigates complaints of incorrect ethanol blends at the pump. Bosch fuel injector pumps can handle 10% biodiesel but Lucas CAV or Rotodiesel pumps can't. Yanmar Marine says B5 biodiesel for its engines must conform to ASTM D6751 or ISO EN14214 specs. Repairman says ethanol raises havoc with anything that has neoprene or rubber parts. Renault uses translation technology on manuals to improve service quality at the dealership. RV dealers are reluctant to buy sharply priced specials from manufacturers that may fail. Genuine Warranty Solutions names Stephen Seal chief executive officer. N.E.W. Customer Service Companies to open a new contact center in Russellville, Arkansas. U.S. Department of Justice sues Honeywell International over bullet-proof vest defects. Two men arrested for selling non-existent auto warranties to more than 120 customers. McCusker & Co. says it can set up Extended Service Plan programs in as little as 24-hours. J.D. Power and Associates 2008 Initial Quality Study tracks advances in eliminating defects. Mazda North American Operations adds new 8-year/100,000 mile engine warranty for 2009 RX-8. Aberdeen study finds best-in-class companies see a 26% gain in warranty claim processing time. New UTC Power buses in Oakland use fuel cells backed by 10,000-mile warranties. Pilgrim International announces five-year warranties for its RV flooring systems. Government of Ontario adds a new home warranties section to its consumer protection Web site. Politician wants Ontario government to clarify its relationship to Tarion Warranty Corp. A.M. Best Co. revises rating outlook for Courtesy Insurance Co. to positive from stable. Best Buy tests free electronics recycling program in 117 stores. Reacting to US court case, UK VARs say they like Dell's pro-support warranty option. RepairTech picks AmTrust Financial Services as new service contract underwriter. High sulfur diesel bought for for $2.18 a gallon in Mexico might void U.S. engine warranties. Refiner says key to use of mid-level ethanol blends between E10 and E85 are engine warranties. Nothing much happened at a Beechwood Homes creditors meeting called after bankruptcy filing. Drivers make their own ethanol fuel blends despite risks of voiding their warranties. Basic transmission in Tesla's new electric car to be swapped under warranty with better units. Why PC warranties are increasingly worthless despite the Sale of Goods Act 1979. The Warranty Group to provide underwriting and protection plans for Montage Furniture Services. Asurion Mobile Applications announces Mobile Services Platform 2.0. Some in Regency homes find they lack warranties despite assurances from company officials.